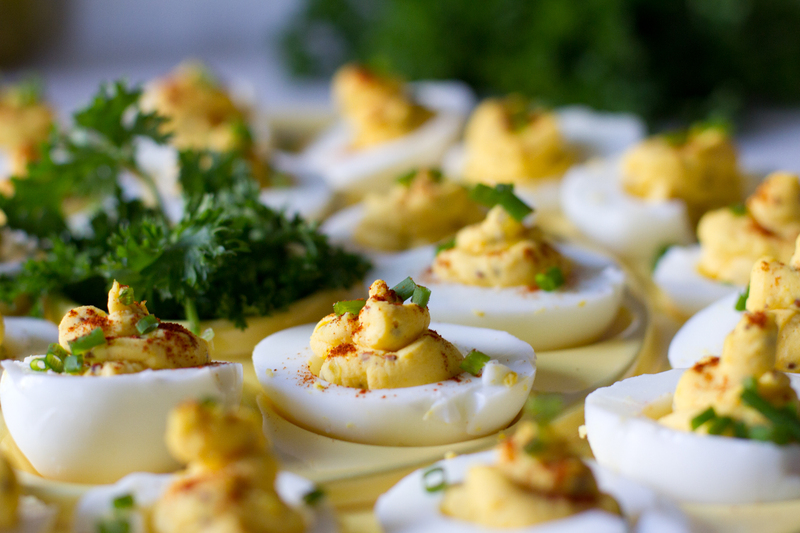 A decade ago, if you were having a party, I was bringing the deviled eggs. And yes, if you’re doing the math, a decade ago I was in my very early twenties. Now, with that admission out of the way, these things were a freaking hit. People could not stuff enough of them into their mouths. And so, I just kept on making them. And everyone wanted more, time and time again. 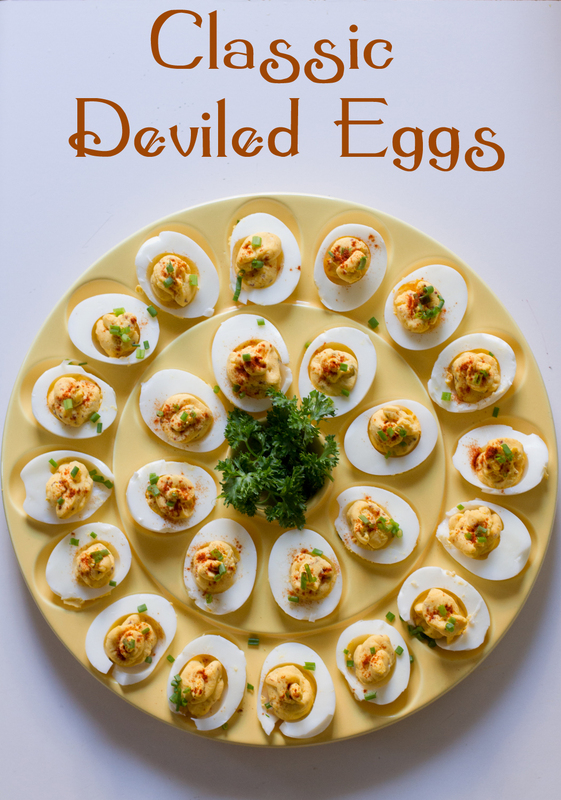 I even bought a deviled egg platter. What? Yes. I haven’t made these little oval delights in quite some time and have been in the mood for them, so here we are. When making them in the past, I would keep it simple and make them in the traditional fashion. Some mayonnaise, dijon mustard, salt, pepper. Garnish with parsley and paprika. That’s all. I did that for this batch too, well, for half of them. 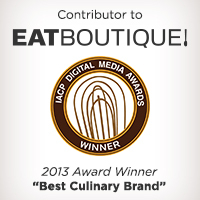 I realized that I had pickles left over from the photo shoot at Saltbox Farm that I assisted on. And so I chopped them up and added them into the mixture midway through. Oh jeez! Delicious. I recommend this! I topped them off with some chopped chives and paprika. Garnish the plate with a bit of parsley, and they are ready to serve. These are best served chilled. And the fresher they are, the better. Place eggs on bottom of large pot. 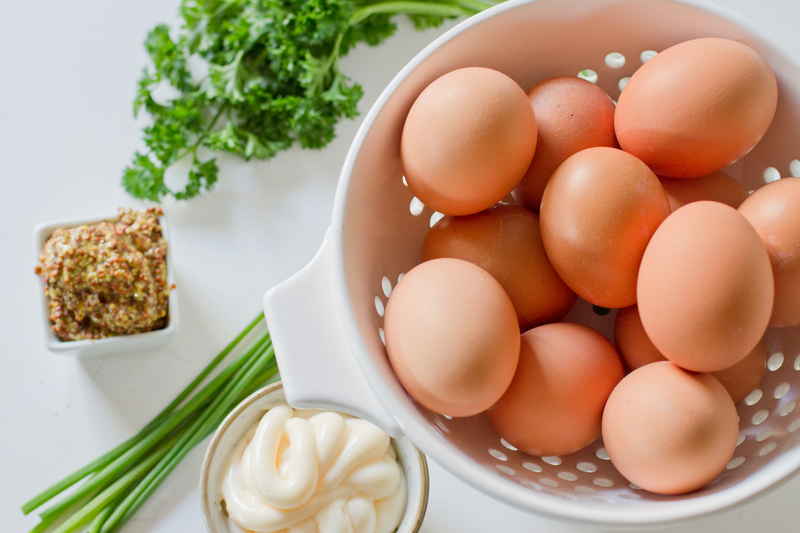 Fill with cold water to about an inch above the eggs. Bring to a boil. Once the water is boiling, shut off the heat and let the eggs sit in the water for 15 minutes. 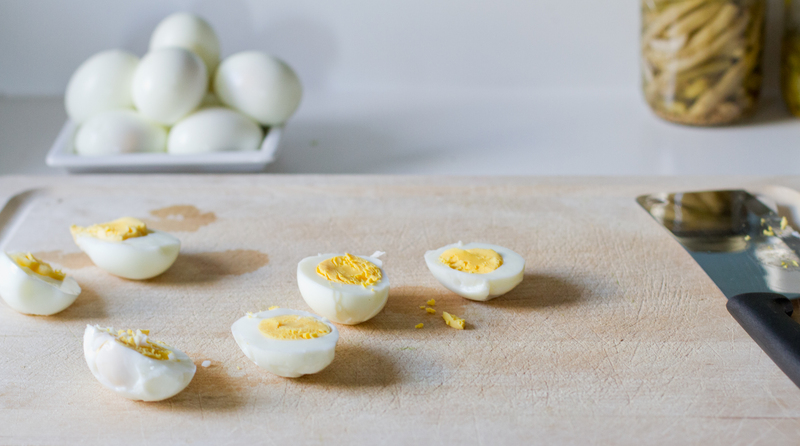 After 15 minutes, run eggs under cold water to stop the cooking process. You can now peel the eggs as well, or you can wait until you are ready if you have time to spare. 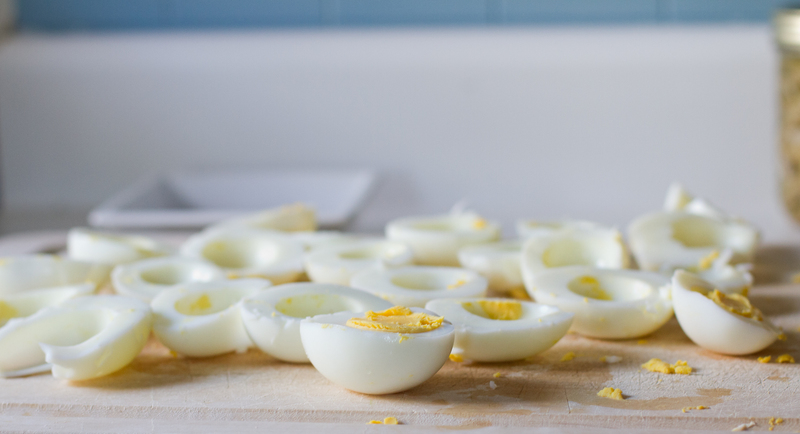 Once peeled, slice the eggs in half and remove the yolks. 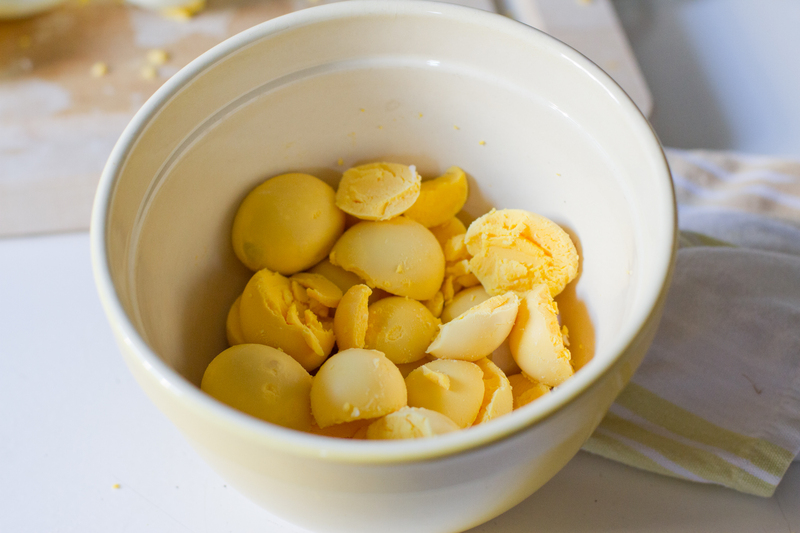 Place the yolks in a bowl. Once all of the yolks have been removed, add in the mayonnaise, mustard, salt, pepper (and pickles if you’d like). Mix together. Take the mixture and place into center of the halved egg whites. You can do this several ways: Spoon the mixture in; Use a piping bag; Use a decorative piping tip for a fun design. Take the chopped chives and sprinkle them over each individual egg, and then do the same with the paprika. Garnish the plate with parsley, and let the party begin. ← Chocolate Hazelnut Orange Cake. These past few years have been the years of the egg for me. I used to hate them and now I positively adore fried eggs over easy. Like seriously cannot get enough of them. Especially on english muffins with a little ham and cheese. 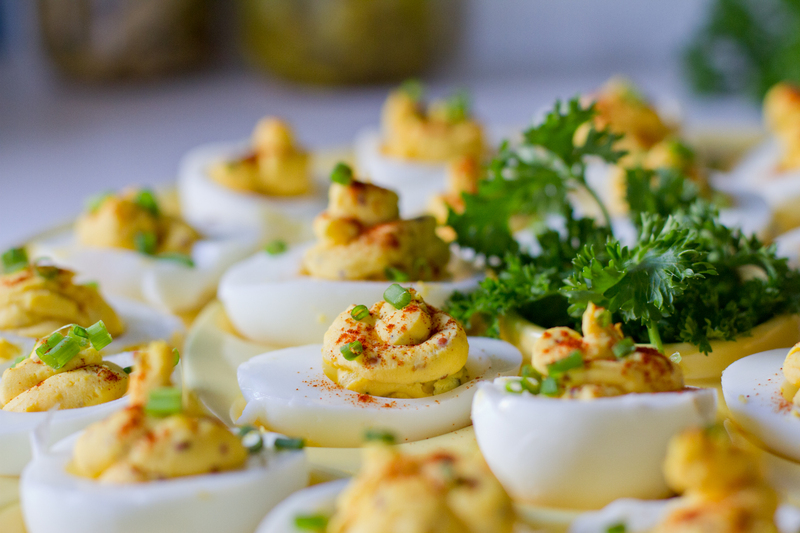 I also learned last summer that I actually like deviled eggs, but only if the yolk filling is sufficiently seasoned/tangy. Nothing worse than a rubbery white with bland yolk filling. Have yet to make them, but your post makes me want to try. I’m also a sucker for classic serving dishes and just saw a beautiful, plain white deviled egg platter at Bed Bath & Beyond today (shopping for gifts for a wedding this weekend). If it’s not too pricey, I might have to go back and get it, just to force myself to make deviled eggs to go with it.